A New York City-based group called the Reclaim Pride Coalition announced last week that more than 50 LGBT rights organizations in the U.S. and other countries have endorsed its plans for a “non-corporate, grassroots” civil rights march to commemorate the 50th anniversary of the Stonewall riots. Organizers say the “Reclaim Pride” march will take place on June 30 on the same day and at the same time but along a different route than the official New York City Pride March, which has been organized for more than 20 years by the group Heritage of Pride or HOP. Similar to disputes over LGBT Pride events that have surfaced in recent years in other cities, including D.C., Reclaim Pride Coalition officials say they decided to hold their own march after their attempts for more than two years to persuade HOP to change its Pride March to better reflect the historic atmosphere of protest and rebellion triggered by Stonewall have been unsuccessful. “Eschewing the corporate-saturated, highly policed nature of recent parades, the [Reclaim Pride] March is a truly grassroots action that mobilizes the community to address the many social and political battles that continue to be fought locally, nationally, and globally,” the Reclaim Pride Coalition said in a Jan. 24 statement. Reclaim Pride Coalition leaders have noted that many LGBT activists have been troubled that in recent years large splashy floats by major U.S. corporations that serve as sponsors of the Heritage of Pride march, which looks more like a parade, have become the public face of the event. Heritage of Pride officials have said corporate sponsors make it possible for the nonprofit group to pay for a march and related events that have grown immensely since the first Pride March in New York in 1970. That march commemorated the first anniversary of the riots that began in New York’s Greenwich Village in response to a police raid on the Stonewall Inn gay bar, triggering what historians say was the start of the modern LGBT rights movement. James Fallarino, the Heritage of Pride communications manager, told the Washington Blade on Tuesday that in recent years the New York City Pride March has drawn between one and two million people, most of whom are spectators who line the streets to watch the parade-like march. He said four million people are expected to turn out for the march this year, with about 60,000 expected to march in more than 100 contingents. He said the overwhelming majority of the contingents are comprised of small nonprofit groups, including LGBT advocacy or social groups. In addition to the larger turnout expected from people in other U.S. states and cities, Fallarino noted that New York Pride is also serving this year as the host for World Pride, an international LGBT event that will take place in the U.S. for the first time this year to commemorate the Stonewall rebellion. There are more than 50 Pride-related events scheduled to take place in New York City throughout the month of June. Among them will be an extravaganza closing ceremony on the day of the march in the city’s iconic Times Square that will include a performance by singer and songwriter Melissa Etheridge. Although Heritage of Pride officials insist that a wide range of LGBT groups participating in its march carry out the spirit of Stonewall each year and will do so again this year, critics have said large corporate sponsors appear to receive favorable placement in the march, with smaller groups relegated to the rear of the march that last year lasted more than nine hours. Fallarino disputes that claim, saying that corporate contingents in the march are dispersed throughout the length of the march and that many of the smaller contingents of nonprofit groups, along with some corporate floats, are placed near the front of the march. Some LGBT New Yorkers, who observers say don’t support some of the demands of the Reclaim Pride Coalition, such as banning police from participating in the march and banning most corporations, have become angry over a number of rules and restrictions put in place by Heritage of Pride. Last year, for example, HOP announced it would not allow anyone to join the march unless they preregistered and obtained a wrist band to gain entrance to the march route, which was sealed off with metal barricades on both sides of the streets. A spokesperson for the New York City Police Department told the Blade that police set up such barricades for all large events such as parades and marches when they determine the crowd will exceed a certain size that could otherwise jeopardize public safety. But these and other restrictions imposed by Heritage of Pride on marchers and its image of being dominated by corporations were seized upon by organizers and supporters of the Reclaim Pride Coalition, including writer and activist Larry Kramer, one of the founders of the AIDS protest group ACT UP. “The current Pride Parade is shameful – a corporate extravaganza that completely ignores the profound fights we’re still waging all over the world,” Kramer said in a statement released by Reclaim Pride. 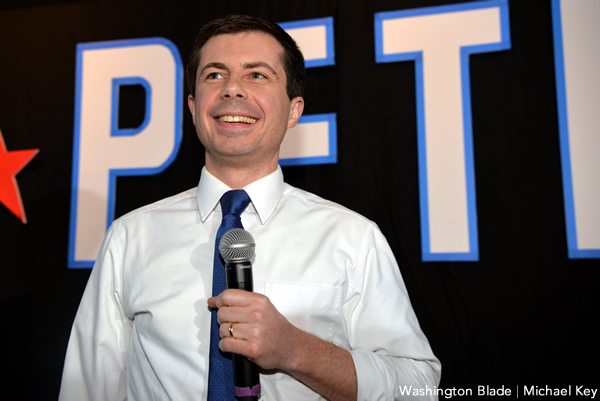 “We must send a powerful message to the homophobic, racist Trump administration and regimes and corporations everywhere that are killing our brothers and sisters,” he said. Both Heritage of Pride and the Reclaim Pride Coalition said the city has yet to approve their respective applications for a permit to hold their marches along the routes they have proposed. Det. Ahmed Nasser, an NYPD spokesperson, told the Blade this week that the police and other city agencies are used to overseeing large events like parades and marches. He said he expected the permits to be approved and believes police have the resources to adequately oversee two marches taking place at the same time. Natalie James, an organizer and spokesperson for Reclaim Pride, said that march will begin at the site of the Stonewall Inn in Greenwich Village and will travel along 6th Avenue to Central Park, where a rally will take place in the park’s Great Lawn, the same place where a rally was held at the culmination of the first Pride March in 1970. She said organizers were scheduled to meet with NYPD officials on Feb. 6 to discuss their permit application and logistics related to the march. “The sentiment amongst many in our coalition is that we will march anyway with or without a permit,” James told the Blade. Competing Pride march in D.C.? A spokesperson for the D.C. group No Justice No Pride, which has criticized the Capital Pride Alliance, the group that organizes D.C.’s Pride Parade and festival, couldn’t immediately be reached to determine whether a rival march was under consideration here. Members of No Justice No Pride have issued a series of demands calling, among other things, for Capital Pride Alliance to ban most corporations from the parade and for banning D.C. police from marching in the parade or having a visible presence along the parade route. 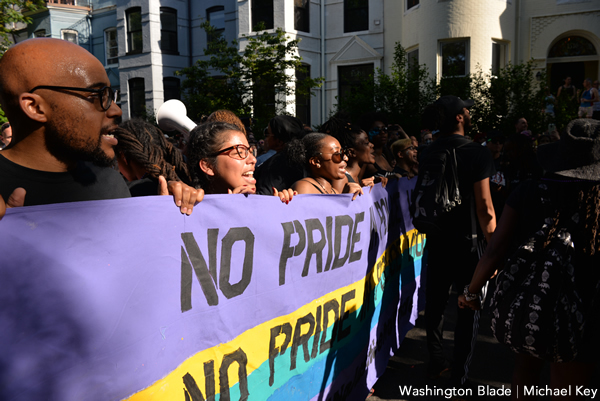 In 2017, after Capital Pride declined to meet those and other demands, No Justice No Pride members blocked the route of the Capital Pride Parade by linking arms to form a human chain across the width of the street where the parade was traveling. D.C. police chose not to make arrests or force the protesters to reopen the street. Instead, police re-routed the parade. Last year No Justice No Pride did not take a similar action and the Capital Pride Parade proceeded uninterrupted. 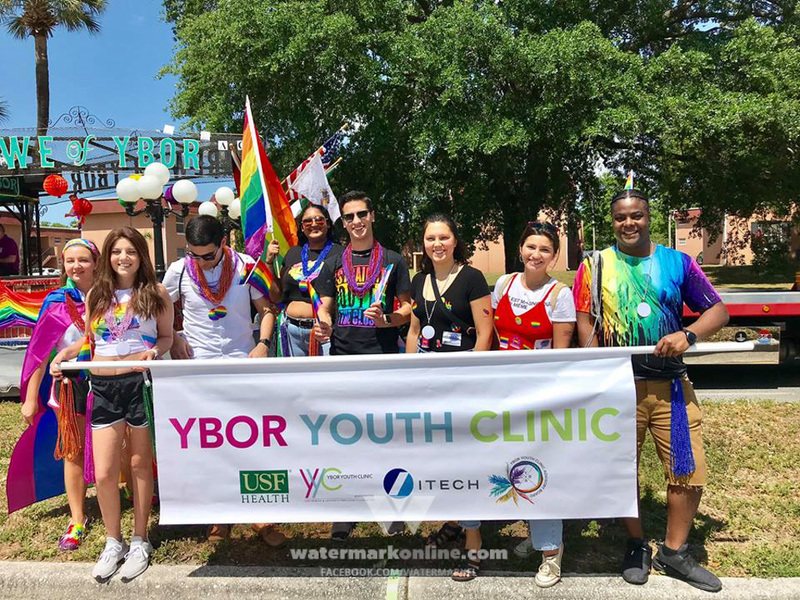 The No Justice No Pride posting asks people to sign a petition consisting of the demands it has issued to Capital Pride during the past two years on a number of issues, including restricting corporations and police from participating in Pride events. It makes no specific mention of organizing a separate Pride march in D.C.
Ryan Bos, Capital Pride’s executive director, said he and others involved with the group were not aware of any plans to hold a separate march or parade. In its own statement released this week, Capital Pride said this year’s Pride events would have a special significance as the community reflects on the 50th anniversary of the Stonewall rebellion. “We encourage the community to join and participate in the many Pride events offered in the Nation’s Capital,” the statement says. “We will reflect on over 50 years of pride, power, and progress, but also look forward to a future where all LGBTQ+ people are treated with equality and respect,” it says.